U.S. Patio Systems and Home Remodeling is an authorized dealer of TEMO pergolas and other TEMO outdoor living structures serving Minneapolis, MN, and other communities throughout the Twin Cities region. Having a TEMO pergola installed is an excellent way to enhance your backyard by creating a dedicated sitting area that is protected against the harmful ultraviolet (UV) rays of the sun. TEMO pergolas are elegantly designed outdoor shade structures consisting of two or four vertical pillars and a “roof” typically made of crossbeams and a horizontal lattice layer. By no means just decorative, a TEMO pergola offers both shade from the sun and a designated backyard space for entertaining and relaxation. Some of TEMO’s most popular products, its pergolas offer an unmatched combination of durability, style, and performance. Every TEMO pergola features heavy-duty extruded aluminum construction and a snap-fit design that eliminates the need for unsightly screws and other fasteners. Plus, all TEMO pergolas have an electrostatic powder coat that eliminates the need for maintenance and ensures a long-lasting beautiful appearance. Ordinary wood pergolas, by contrast, frequently have to be re-stained or re-painted and are always susceptible to rotting, splitting, and insect infestation. 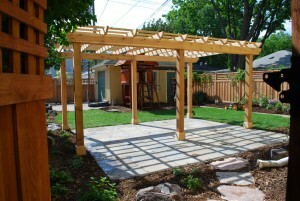 A TEMO pergola is an outstanding investment that will reliably provide year after year of backyard shade protection. If you would like more information about the benefits of having a TEMO pergola installed anywhere on your property in Minneapolis, MN, please contact U.S. Patio Systems and Home Remodeling, your local authorized dealer of TEMO pergolas and a company that specializes in helping homeowners get the most that they can out of their indoor and outdoor recreational spaces.